Hong Kong-listed Imperial Pacific International Holdings Ltd, currently developing a casino resort on the Pacific island of Saipan, told GGRAsia that it hoped to attain a permit “soon” from the the local regulator in order to open its permanent gaming venue (pictured in an artist’s rendering) at the resort. The phrase was used in response to a query as to whether the permanent gaming facility could be opened by June, following the next scheduled meeting of the Commonwealth Casino Commission, due later this month. On Tuesday the Commission deferred a decision on the Saipan casino operator’s request to open the permanent facility on Friday, May 26, according to media reports. Its board reportedly cited “safety concerns” for the deferral. Edward Deleon Guerrero, the Commission’s executive director, was cited by Saipan’s local media as saying that his organisation wanted to “make sure the workers, patrons, guests or anyone that enters or exits the facility are safe”. Mr Guerrero also said that the Commission would further discuss – in another meeting, scheduled for May 31 – Imperial Pacific’s request to open the permanent gaming venue. The company told GGRAsia in an emailed statement it had already received two of the three conditional permits needed to open the casino floor. “The safety of guests and employees has always been among the highest priorities of Imperial Pacific. The company fully complies with all requirements of the Department of Public Works and Fire Department and has therefore been granted the conditional occupancy permits by both departments,” the company said in its statement. “The requirements of the Commonwealth Casino Commission (CCC) are much higher, so the company will continue to work closely with the CCC as usual. Hopefully we can get the permit from CCC soon and continue our contributions to the Commonwealth of the Northern Mariana Islands’ tourism industry,” Imperial Pacific added. The company has the right to an exclusive casino licence on Saipan, the main island of the Commonwealth of the Northern Mariana Islands, a United States jurisdiction. The firm is currently operating a temporary casino facility known as Best Sunshine Live, and catering particularly to credit-based VIP play. 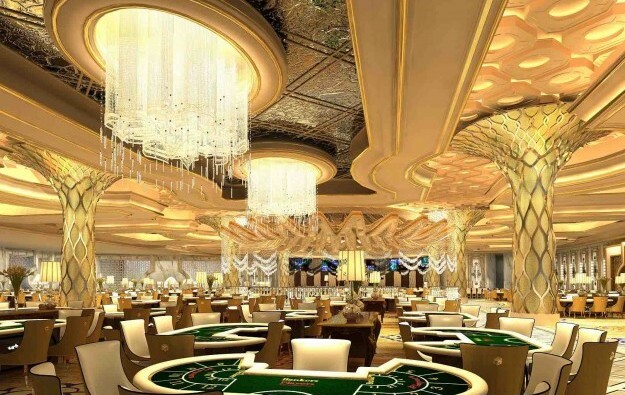 The permanent venue, Imperial Pacific Resort, will feature 350 hotel rooms, 15 villas, “200 to 300 gaming tables” and “300 to 400 slot machines”, according to the company’s previous filings. The company had previously asked to extend the deadline to complete construction of its permanent casino, citing a number of factors as causing construction delays. In late April, the local regulator gave Imperial Pacific until August 31, 2018 to complete construction of its permanent casino on Saipan, according to local media reports. The original deadline was August 11, 2017.